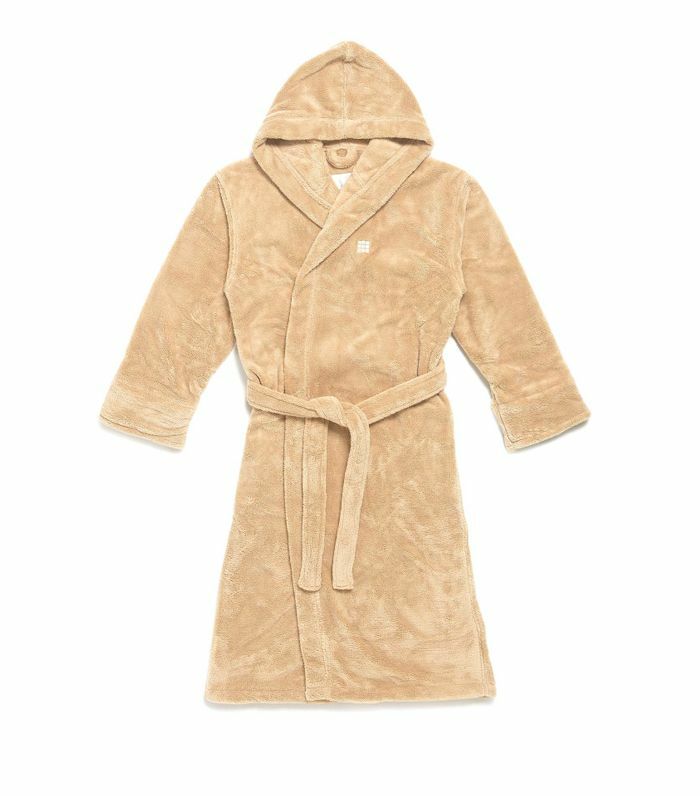 We've all probably had that moment where we've slipped into a hotel bath robe that's so cosy, soft and incredibly luxurious that we've vowed never to take it off, maybe even felt tempted to stroll straight out of the hotel wearing it. Sound familiar? From sumptuous slippers to cosy pj's and posh bath products, the little luxuries that come with your overnight stay have always been something of an indulgent treat. So perhaps it was only a matter of time before hotel merch was sold to fashion girls as a micro-trend. Sleeper has cleverly created a package that includes said white robe, a set of pyjamas, a T-shirt, and a pair of slippers for the grand total of £262. And that's not the only way to get your hotel merchandise fix. The infamous A-list hangout Soho Farmhouse has also got in on the trend and now sells that towelling robe you've likely spotted all over your Instagram feed. Could hotel slippers and robes be the next Insta trend? Watch this space. Scroll below to shop our favourite hotel merch. Chances are you've seen this on a number of celebs, and now it can be all yours without a trip to the Farmhouse. In case grey is more your style. Or why not go all-out and invest in the ultimate hotel merch kit? Next up: the bag every Scandi fashion girl is wearing right now.